This time we would like to invite you to join us for a drink and a nice chat (as usual) in DAS NYX! The venue may not boast of a large space, but it does impress with a well-stocked bar displaying up a great choice of spirits and libations. 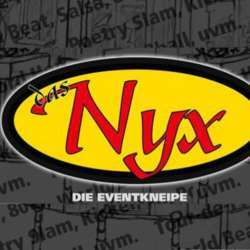 Das Nyx is also one of the few city clubs to play music from mainly Scandinavia that evening. We will enjoy a DJ, too. After 22:00 you will have an opportunity to join the dancefloor, party and enjoy dancing! From the Viktoria-Brücke go to the Frankenbad, where at the corner of the crossing with Vorgebirgsstrasse (opposite the Frankenbad) on your right you will find the NYX. Parking and approx. 7-10 min walk from Parkhaus Friedensplatz.